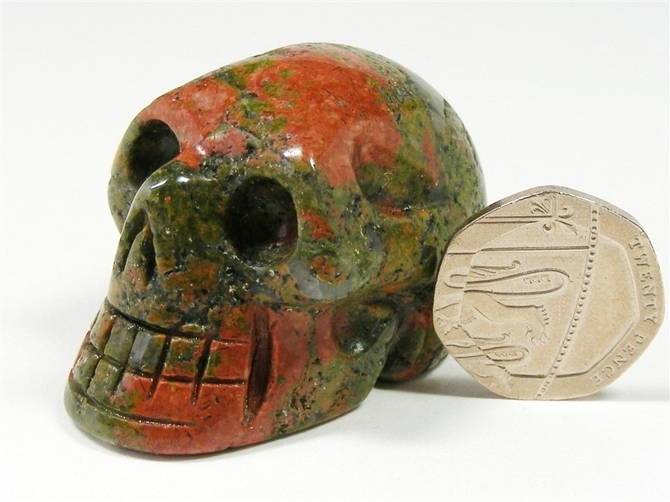 Lovely carving of a skull, cut and polished from a great piece of Unakite. Unakite is a good stone for the treatment of the reproductive system and can aid a healthy pregnancy. Unakite is also useful if you need to convalesce after surgery or an illness. It can help with the growth of skin tissue and hair. 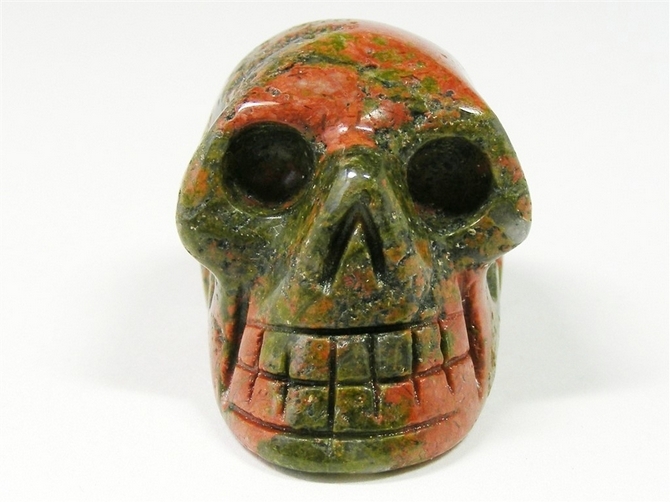 Unakite can also stimulate weight gain where required. Unakite balances our emotions and can help us to better see any conditions from the past that may be holding back our personal growth now. Unakite can help to make us more assertive. A good stone for the heart Chakra. 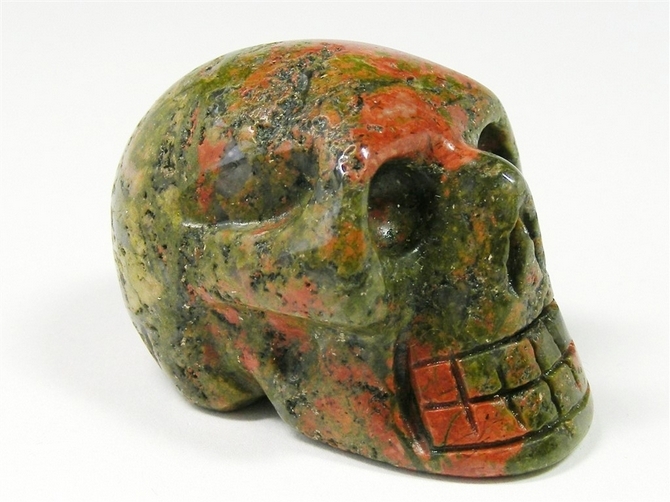 Unakite can help with past life healing and the re-birthing process. It helps us to see what past problems may be holding us back spiritually and to release them. 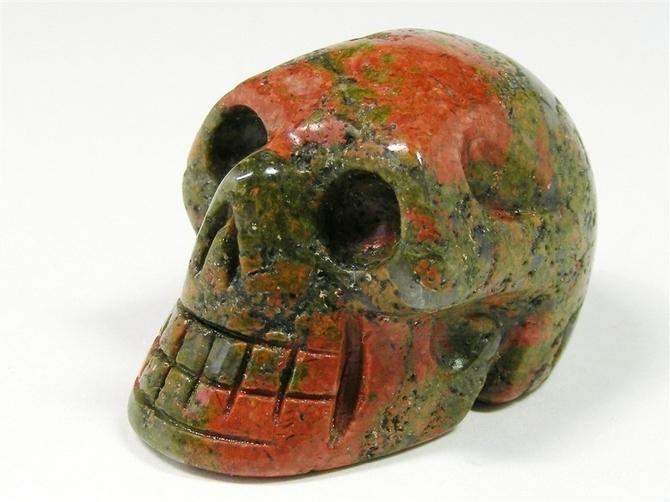 Unakite can also help us to see visions in meditation and also to see psychic visions.